Casa de Campo Resort & Villas in La Romana, Dominican Republic, is offering an ‘Unlimited Golf Getaway’ stay-and-play package for golfers interested in any or all of its three golf courses, including the course regarded as the Caribbean’s No. 1 golf course. Guests who book before July 31 and travel by October 30 can enjoy unlimited golf at the resort’s three award-winning golf courses, each designed by legendary architect and World Golf Hall of Fame member Pete Dye. 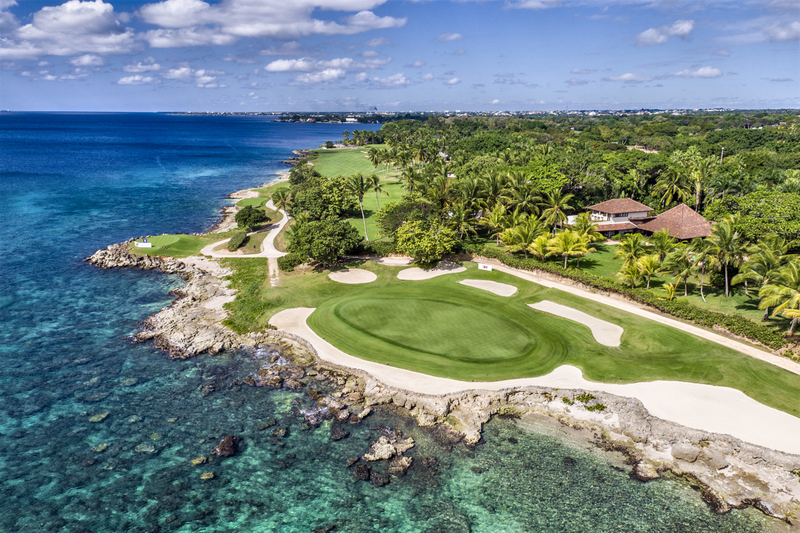 “Casa de Campo is the only tropical destination where guests can experience three Pete Dye-designed courses,” Andres Pichardo Rosenberg, President of Casa de Campo, said. 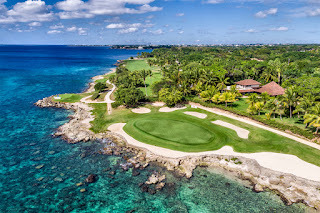 “After being captivated by his distinct architectural style from sunup to sundown, golfers will enjoy our extraordinary accommodations and other acclaimed off-course amenities that make Casa de Campo one of the Caribbean’s most-popular destinations,” he added. Courses include the acclaimed Dye Fore course, The Links Courses, and the No. 1 course, Teeth of the Dog. Teeth of the Dog, ranked No. 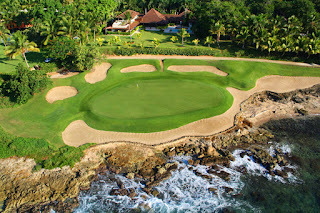 39 in the world by GOLF Magazine and considered one of Dye’s most important designs, is obviously the headliner, though Dye’s design genius is on full display at the resort’s other 45 holes: the 27-hole Dye Fore course and the 18-hole course The Links. Located in the interior of the resort property, The Links features moderately hilly track with tall Bahia grass framing bunkers and undulating greens, all presenting spectacular Caribbean views. Slightly over 7,000 yards from the back tees and playing to a slope of 126, it is considered one of the most forgiving courses Dye has designed. The Unlimited Golf Getaway includes accommodations in a Pete Dye Golf Lodge Room, full American breakfast daily, use of a four-passenger golf cart to travel throughout the resort, complimentary nightclub access and more, though a surcharge will be added for each round on Teeth of the Dog. Located on the southeastern shore of the island of Hispanola, Casa de Campo Resort & Villas is a member of The Leading Hotels of the World. The 7,000-acre property attracts affluent travelers with 63 holes of exceptional golf, complemented by spacious hotel rooms, suites and luxury villas. Expertly prepared cuisine from around the world, a 370-slip Marina & Yacht Club, Polo & Equestrian Club, the La Terraza Tennis Center, 245-acre Shooting Club and Altos de Chavon – an artisan’s village modeled after a 16th century Mediterranean city – are other on-property highlights. La Romana International Airport (LRM) is five minutes from Casa de Campo and served by jetBlue (NASDAQ:JBLU) with direct flights from New York’s John F. Kennedy International (JFK) three times weekly. It is also served seasonally by American Airlines (NASDAQ:AAL) with non-stop service from Miami International (MIA). A short drive from the resort, Santo Domingo (SDQ) and Punta Cana (PUJ) airports offer daily direct flights from many major North American airports. For more information, visit the resort's website or call 1-800-877-3643.